Flat screen tv in the living room. Great for movie night! 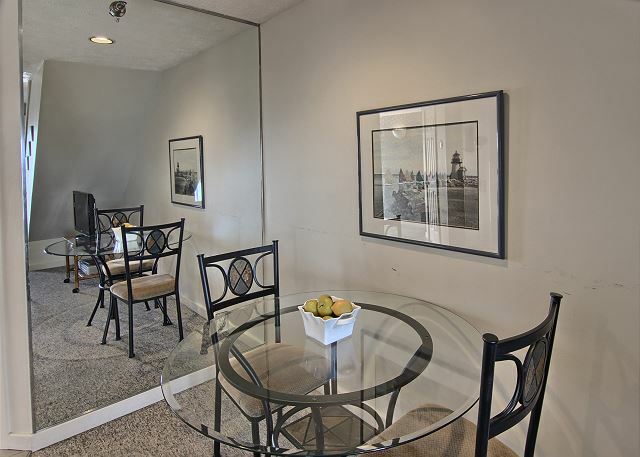 Suite 303 is a third floor unit whose paint colors and wood accents create a breezy waterfront atmosphere. 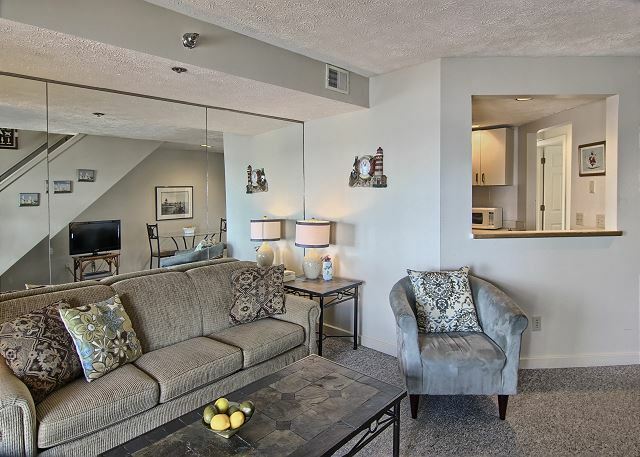 Comfortable furnishings in the living area, including a sofa sleeper, encourage naps or a movie night gathered around the flat screen TV. This condo has a fully equipped kitchen that is great for preparing meals. There is a small dining area with seating for two. 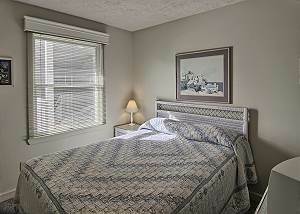 The master bedroom gets top billing because of its private location on the upper level of the condo. A queen bed coaxes you into a contented night’s sleep. 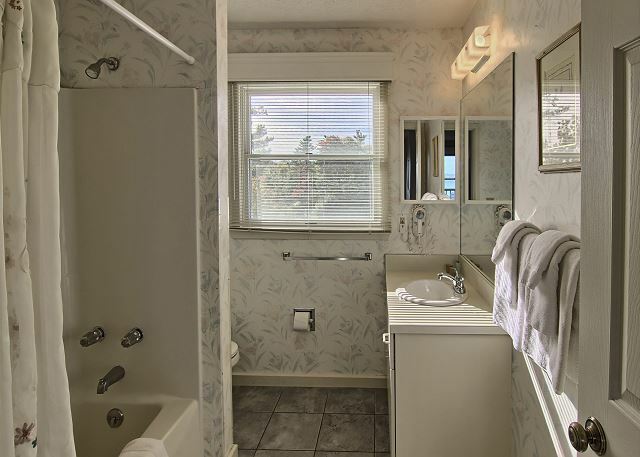 When you wake in the morning, first take in the spectacular view of East Bay, then make your way to the en-suite bathroom. 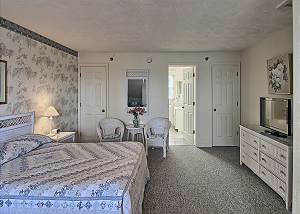 This bedroom also enjoys a private terrace with breathtaking waterfront views and a flat screen television. Room 303. 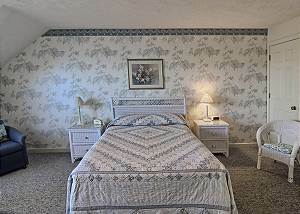 Although a bit dated, the room was VERY CLEAN, very comfortable and a great value. The staff was VERY accommodating, helpful and pleasant. FANTASTIC view - you are ON THE BEACH with nice balconies for taking in the view. Review by Mary Jo H.
We loved this place!! The view and the beach were awesome!! Plenty of room for the five of us, We will definitely stay here again. Beautiful views. Great location. The water was great. Loved the two decks. Plenty of room. Amy front desk clerk was awesome! The unit could of been a bit cleaner. Found kids toys next to sofa, couldn’t find silverware or some dishes so we bought some paper plates, plastic silverware and just ate out. The last day before we left we opened the dishwasher to find it full of dishes and silverware. Not sure if they were clean or dirty. 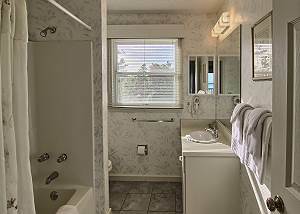 The upstairs sink didn’t drain and the downstairs shower shot you directly in the face. For the most part though I loved the location and building. Would stay again! Very relaxing spot on the bay to enjoy a family vacation. Beautiful views and excellent beach. Condo was very comfortable. This was a beautiful space! It had everything we needed, except extra bedding for the sofa bed. Unfortunately we didn't check for them until the office was closed, so we had to make do. Amy in the front office was great, and let us know about some maintenance that needed to be done when we checked in, which was no problem. Overall a good experience, I just wish we had checked for the bedding earlier! Nice location but couple kitchen towels could be added with table lamps bulbs changed. Otherwise, nice and clean. Our family of four spent two nights in a 2-bedroom suite. We stayed in many hotels on a long trip through the Midwest and this was our favorite. 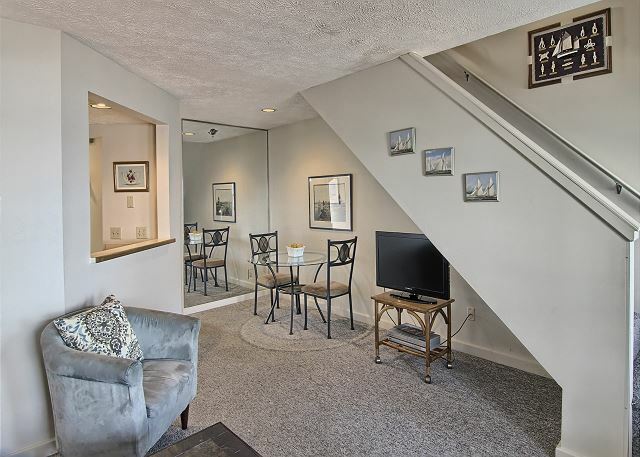 The suite was two floors and had two beds and two baths. 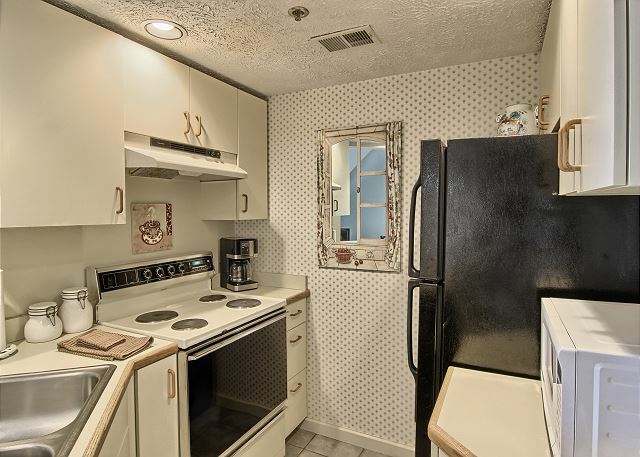 There was also a small but fully functional kitchen and two balconies. The room looked out over the lake. The hotel has its own beach, a nice pool, and is walking distance from places that rent jetskis. We spent 3 nights at this place with my 2 children and my parents. 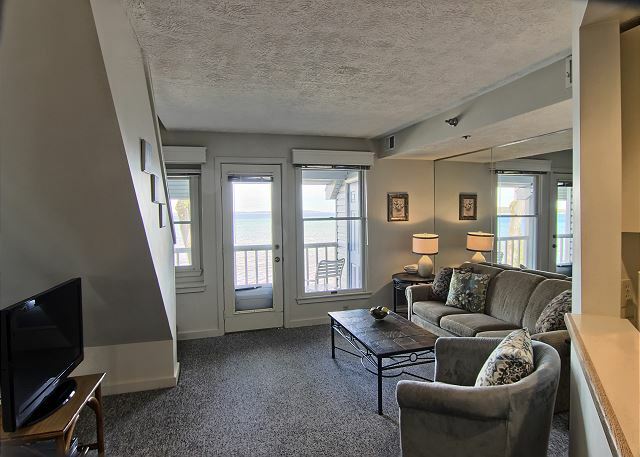 The upstairs is very spacious with a private balcony facing the lake. The condo has a private beach so we enjoy sitting by the sand beach every day. The front desk person is really cheerful and helpful. The only complaints we have are the blinds and the cooking pans/pots. The porch lights are really bright and they are right outside the guest bedroom window. The blinds don’t do anything to block the light. So it’s really hard to sleep at night. The cooking pots and pans are really worn out and scratched, so it’s not safe to use them. The insulation is also not so great as I can hear water running and toilet flushing from upstairs really loudly. 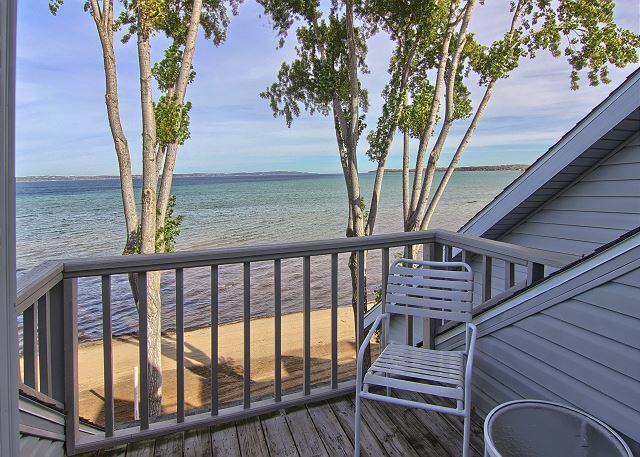 Overall, this place has great views and private beach but needs to be updated. We have stayed at North Shore Inn for over 27 years as a family so it was nice to be there with our adult kids and sharing memories and making new ones. Perfect views and private beach. Clean. This was a great, reasonably priced, condo. 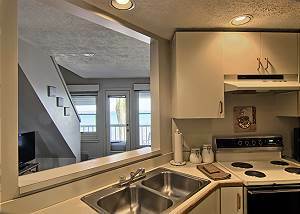 We loved being right on the beach, the condo was fresh and clean, sleeps 6 easily, with plenty of room for relaxing. Nice kitchen, with all the needed supplies. Beautiful experience, would reserve this place again.